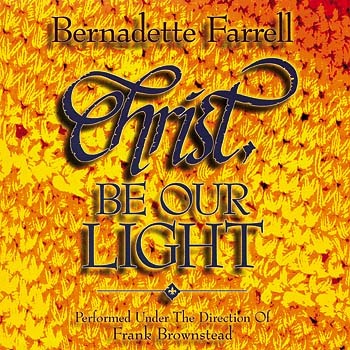 Bernadette Farrell is one of the most beloved composers of music for worship on both sides of the Atlantic. Songs like “Christ, Be Our Light” and “O God, You Search Me” are worship staples in the hymnals of every denomination. Like Bernadette's previous collections, Go Before Us expresses a commitment to social justice, inviting Jesus to go before and guide us to live in ways that bring peace to the world. Containing psalm settings, songs suitable for children and music for use in the liturgy throughout the year, Go Before Us features 13 original songs arranged for organ, piano, guitar, flute, strings and brass. Go Before Us features three songs with texts by New Zealand poet Shirley Erena Murray. Bernadette wrote "Christ Beside Us" for the bicentennial celebration of the Ursiline Sisters of Jesus. Like Share the Light, this new collection welcomes participation by the hearing impaired by providing sign-language instructions for three songs. Bernadette dedicated the title song to Jackie Birch (1965-2002), a school teacher and close friend of Bernadette's who died unexpectedly. Appropriate for funerals and other occasions when we pray for God's comfort and healing, "Go Before Us" is a soothing, hopeful song asking Jesus to "show us the way to our one true home." Utilizing calypso, gospel, folk and traditional choral styles, Bernadette Farrell's first solo collection for OCP is a moving call to accept and be transformed by the message of the Gospel. The collection opens with "God Has Chosen Me," a spirited, syncopated song for choir and hand drums. Arranged for organ and choir, "Jesus, Lamb of God" is a beautiful song of petition for mercy. A contemplative hymn of awe for God's mystery, the title song ends by affirming God's intimate participation in our lives -- and our role in bringing him to others: "All around us we have known you, all creation lives to hold you. In our living and our dying we are bringing you to birth." Appropriate for Pentecost and any time we call down the Holy Spirit, "Spirit of God" is a traditional hymn with a lovely part for flute. Other highlights include a Gospel acclamation for Easter season, a powerful litany on the titles of Christ, and "God of Abraham," a jubilant gospel-style song. Featuring choral direction by Frank Brownstead, the recording includes performances by Bernadette herself and Paul Inwood on organ and piano. The 12 original songs on God Beyond All Names were just the beginning for this long-time member of the St. Thomas More Group. Today, Bernadette is one of the best-known liturgical composers in the Church. Drawing inspiration from Scripture—especially the psalms—Bernadette Farrell has a gift for composing richly meaningful lyrics and comforting, prayerful melodies. Whether you're looking for music that invites assembly participation or lush harmonies to engage your choir, Love Goes On offers 15 songs for various seasons and rituals throughout the liturgical year (choral songbook also available). Featuring African rhythms and choral anthems with organ and trumpet, as well as pieces for choir and assembly, this collection is filled with music for groups large and small. 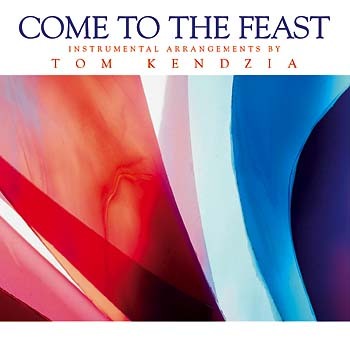 Bernadette's composer notes also provide a wealth of background for the texts, citing psalms and authors on which the songs are based—including St. Teresa of Avila, Mahatma Ghandi and Mother Teresa. The vibrant "Act Justly" is dedicated to Mildred Nevile (1927-2011), who for 18 years led many campaigns, including the struggle against Apartheid in South Africa. Setting music to text by Joanna Alstott, "Cradle Me" invites us to put our trust in God. Written for Bernadette's late father, Ambrose Farrell, "I Waited for the Lord" is a moving song of tribute. In the years since her last collection, Bernadette has been a tireless advocate for the common good. She has built an organization which has brought better housing, public services and living wages to thousands of families in England. Introducing future classics to join the ranks of "All That is Hidden" and "Christ, Be Our Light"—including musical settings of three new hymn texts by Owen Alstott—Love Goes On delivers a variety of songs that will prove well worth the wait. Restless Is the Heart encompasses more than 10 years of compositional and spiritual growth -- a blend of new music and some of Bernadette Farrell's best-loved songs from her time as a member of the St. Thomas More Group. Music of prayer, protest and praise, this collection is a reflection of the richness and variety of God's kingdom. Bernadette's passion for social justice appears as a persistent motif throughout her music. Bernadette gives a voice to the poor and oppressed through her music, which is sung in churches throughout the world. Many of the songs in this collection celebrate the themes of Jubilee and can be used year-round to complement messages on discipleship, mission and ministry. Recorded with children's voices, and featuring an instrumental version of each song, Share the Light offers a total of 28 tracks to encourage singing in the classroom or at liturgy. A CD-ROM is also included as part of this two-disc set, containing live-action video images of composer Bernadette Farrell and others performing nine of the songs—using both American and British Sign Language. It's an excellent teaching tool for those less familiar with sign language. Featuring choral arrangements and accompaniments, the Love Goes On songbook gives your ensemble the music they need to bring these songs to life. Drawing inspiration from Scripture—especially the psalms—Bernadette Farrell has a gift for composing richly meaningful lyrics and comforting, prayerful melodies. Whether you're looking for music that invites assembly participation or lush harmonies to engage your choir, Love Goes On offers 15 songs for various seasons and rituals throughout the liturgical year. A blend of new music and best-loved songsRestless Is the Heart encompasses more than 10 years of compositional and spiritual growth -- a blend of new music and some of Bernadette Farrell's best-loved songs from her time as a member of the St. Thomas More Group. Music of prayer, protest and praise, this collection is a reflection of the richness and variety of God's kingdom. A contemplative hymn of awe for Gods mystery, the title song ends by affirming Gods intimate participation in our lives -- and our role in bringing him to others: "All around us we have known you, all creation lives to hold you. In our living and our dying we are bringing you to birth." Lead children in song in the classroom or at liturgy with guitar and keyboard accompaniments for Share the Light, a two-disc set of vocal and instrumental tracks for 14 songs—nine featuring live-action video images in both American and British Sign Language. This is the MP3 playlist for Love Goes On. In the thirteen years since her last collection, Bernadette has been a tireless advocate for health services and adequate housing in England. Introducing future classics to join the ranks of "All That is Hidden" and "Christ, Be Our Light"—including musical settings of three new hymn texts by Owen Alstott—Love Goes On delivers a variety of songs that will prove well worth the wait. 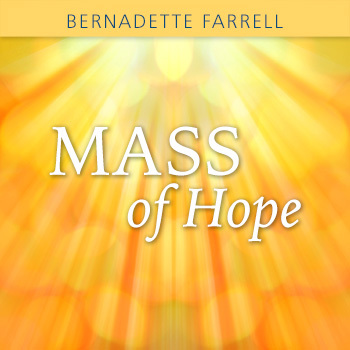 This MP3 album contains recordings of the Holy, Amen and three eucharistic acclamations for Bernadette Farrell's Mass of Hope. 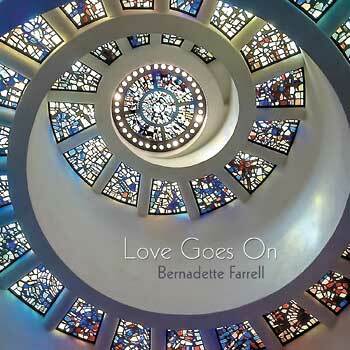 Bernadette Farrell is one of the most beloved composers of music for worship on both sides of the Atlantic. She arrived on the liturgical music scene in the 1970s with the St. Thomas More Group. The group included some of the leading figures of the time: Stephen Dean, Paul Inwood, Peter Jones, Peter McGrail, Anne Quigley, Bill Tamblyn, Christopher Walker, and James Walsh. Some of her most popular songs emerged during this period: Unless a Grain of Wheat; O God, You Search Me; and God, Beyond All Names, among others. These are staples in the hymnals of every Christian denomination. In the 1980s, she began publishing with OCP, releasing collections like Christ, Be Our Light, including the well-known title song, as well as Go Before Us and Restless Is the Heart, with its breathtaking title song. In 2014 she released Love Goes On, a collection of 15 newly composed songs for worship. Drawing inspiration from Scripture—especially the psalms—Bernadette has a gift for composing richly meaningful, often challenging lyrics and comforting, prayerful melodies. She recently collaborated with fellow composers on Our Common Home, a collection inspired by Pope Francis’ Laudato Si’ encyclical, offering timely music touching on themes of care for creation, poverty and solidarity. Bernadette has always had a passion for social justice and that comes to the fore in many of her songs. 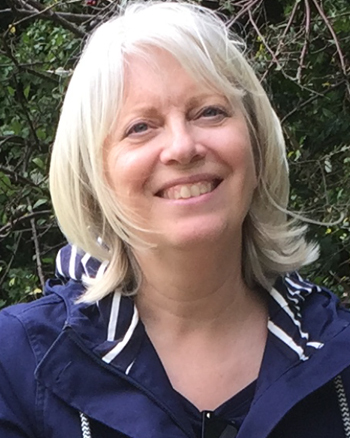 Born in West Yorkshire in the north of England, she has lived in London for many years with her husband, liturgical composer Owen Alstott. Currently she is a community organizer for UK Citizens, which advocates for fair housing, a living wage, proper community policing and health care access.